Share the post "Abundant and Affordable Varieties Available! A Fast Food Sensation Taco Rice Restaurant! 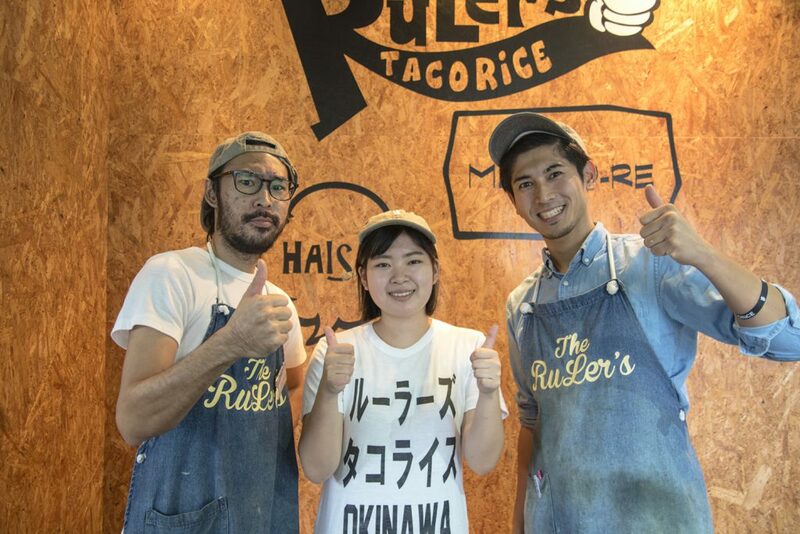 RuLer’s TACORICE (Maehara, Ginowan City)"
"Taco Rice"is located on Prefecture Route 34 that connects two major national roads, Route 58 and 330 in Ginowan City. The taco rice specialty shop "RuLer's TACORiCE" is located on a street visited by many local people . 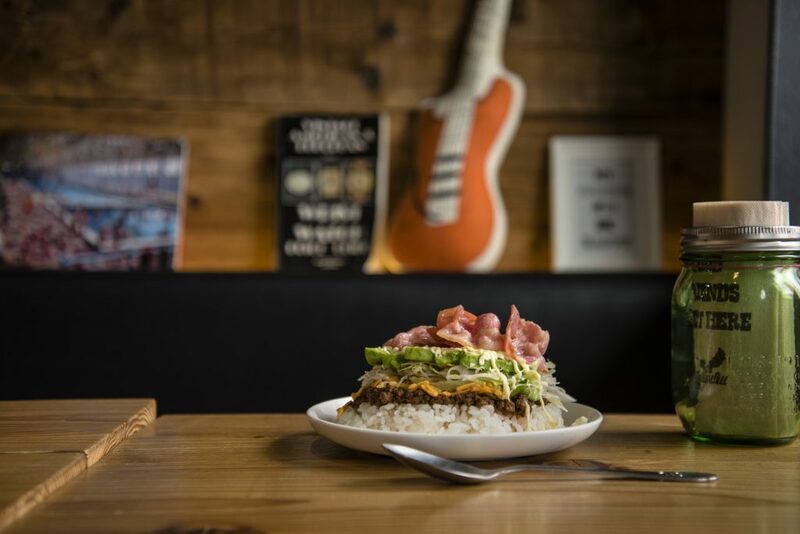 "Taco rice" was invented in Okinawa. It is topped with ingredients from tacos, the popular Mexican food in the USA. After World War II, tacos were transferred to Okinawa upon the arrival of the US military. A unique Okinawan arrangement was added. Taco meat, cheese, lettuce, and tomatoes are the common ingredients. However, each restaurant created its own ideas and these variations started to appear on their menus. Tacos are widely loved as one of the soul food of Okinawa prefecture. They still continue to evolve. An Okinawa fast food is invented! Loved by people of all generations! The owner of RuLer's TACORiCE, Mr.Atsushi Toguchi, was born and raised in Okinawa (right picture). At an Izakaya in Tokyo, he was trained in restaurant hospitality management, including service, cooking, store management, etc. He opened RuLer's TACORiCE in Maehara, Ginowan in 2014 and has been operating it since. 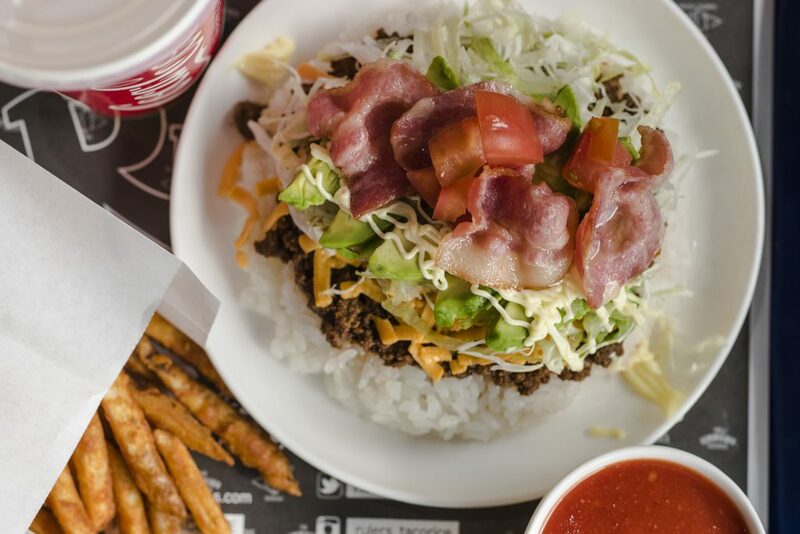 "I am from Okinawa and I've been wanting to open a well-known taco rice restaurant since taco rice is very popular.""Mr. 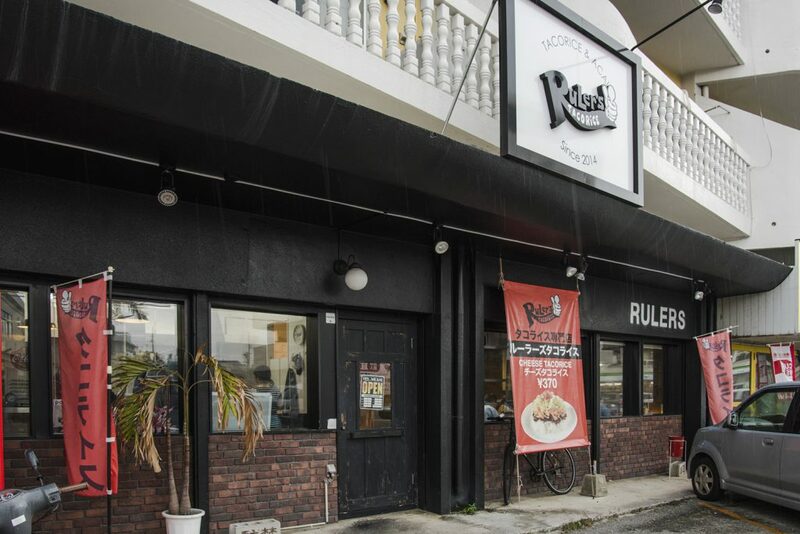 Toguchi`s dream is to expand the restaurant and make it into a franchise in Okinawa. Apparently, he is aiming to provide a restaurant, in which the charm of Okinawa is passed on the people who are greeted by the energetic staff. When looking inside the shop, wooden furniture that is beautifully arranged and a warm calm atmosphere come into view. 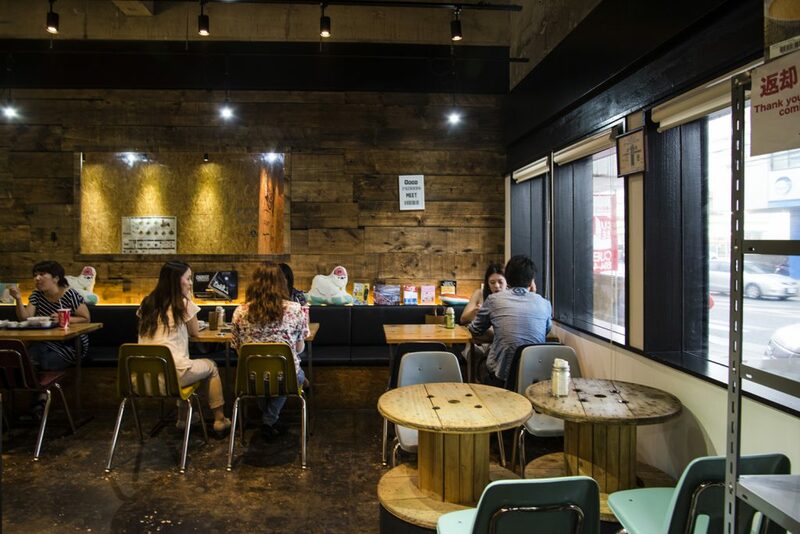 Even after lunch time, the customers are enjoying meals while chatting with friends. Couples and people from different generations and genders spend their own time contemplating. We have all kinds of taco rice at a reasonable price. Which one do you want? What makes RuLer's TACORiCE popular is that there are various kinds of taco rice available. The menu includes the classic "Cheese Taco Rice" (regular size 370 yen), Teriyaki flavor, BBQ flavor, etc., 9 types in total. You can choose from regular, large, extra large size, and variety of regular size for female customers. The order is cash on delivery. You can also order to take out. Order your favorite item from the menu and receive your food at the counter where you will pay. Well, which one you are going to order ... its obvious that you will get lost, so this time I decided to get "ABC Taco Rice" (Regular single item 490 yen) recommended by the owner. 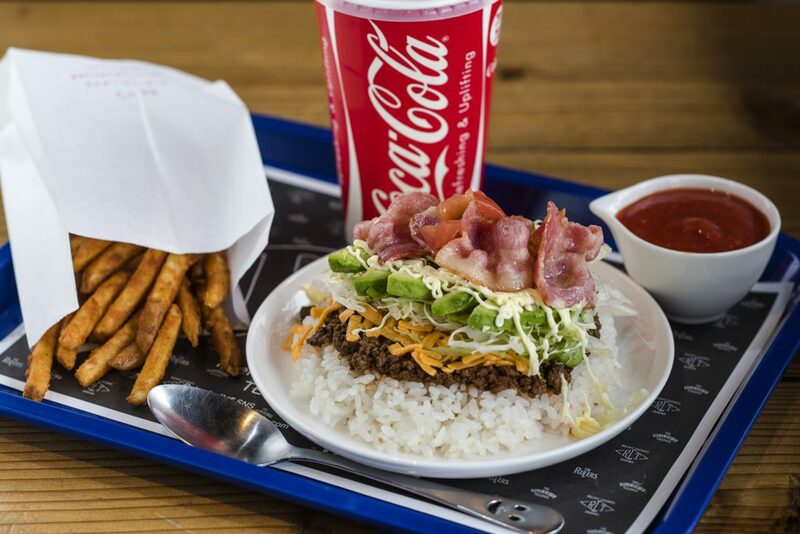 With an additional 230 yen, there are 4 types of combos including "S Combo" (picture) with F size fries and drink S size, and "Tacos Combo" (plus 250 yen). Additional toppings and side menus are also available. I found the restaurant 's T - shirt on the way back! 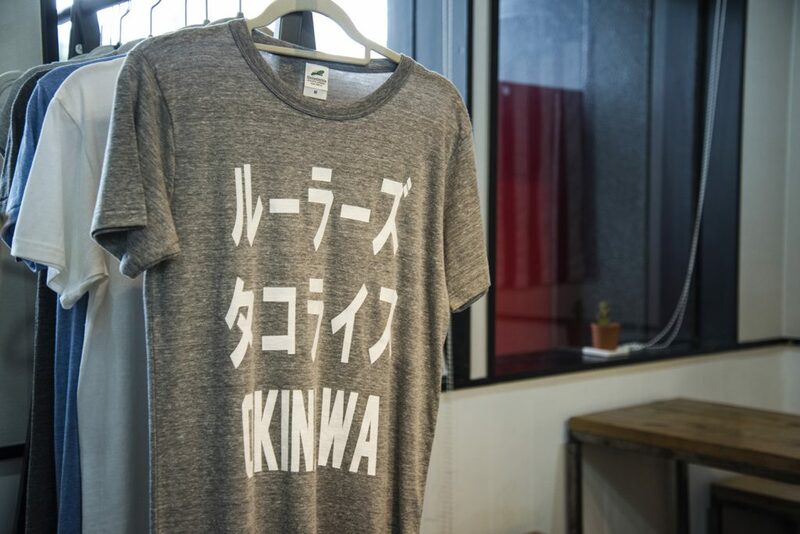 You heard about it and its a perfect gift for anyone traveling to Okinawa. The coziness of this restaurant was condensed in designing these smiling T - shirts. 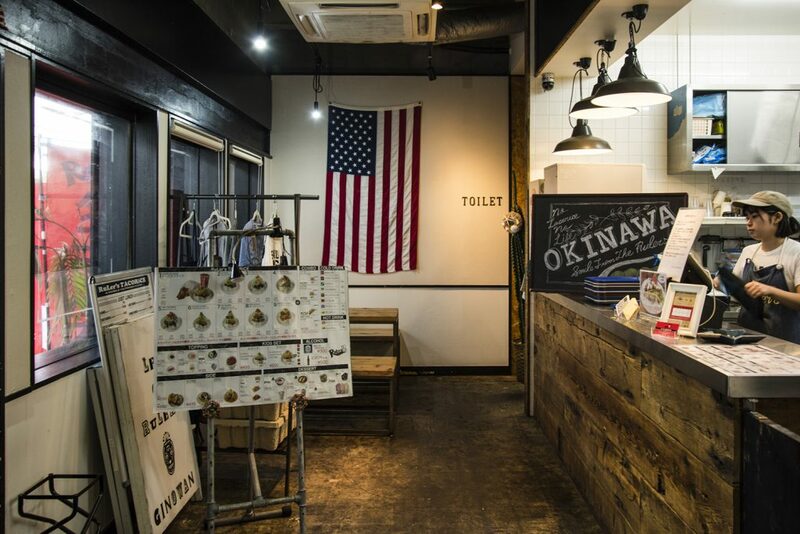 Please go out and discover your favorite dish of Okinawan soul food! 3-4 parking spaces available in front of the shop. High quality taco rice, at a reasonable price. One free taco. ※The coupon is valid with a purchase of taco rice. ※This coupon is valid for only 2 people. ※This coupon cannot be combined with additional discounts.